"Brown Bear, Brown Bear, What Do You See? "and" Polar Bear, Polar Bear, What Do You Hear?" beginning readers: These beloved children's stories are now available in beginning reader format. With the important pre-reading concepts of rhyme, rhythm, and repetition, these picture books have long been used as beginning readers. Now, with a 6" x 9" trim and a classic beginning reader layout, children will have a more "grown up" version to read by themselves. 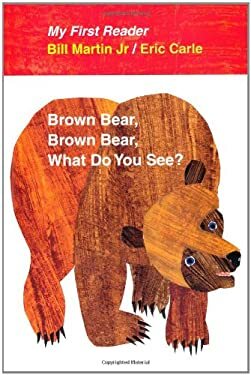 Complete with an introduction by master educator Laura Robb, and with fun reading activities added, these new versions of "Brown Bear, Brown Bear, What Do You See?" and Polar "Bear, Polar Bear, What Do You Hear?" are certain to appeal to a new age group and find an even wider audience.